The Mexican Riviera is On Sale! The Hotel Marina El Cid Spa & Beach Resort is a favorite for lovers of sun and fun, and best of all it’s just a short flight away! Step up to a resort dedicated to a natural paradise of warm waters, soothing breezes, and rare tropical plants bursting with color. Leave time for fascinating Mayan cultural sites that let you explore the grounds of this ancient society. Swim and snorkel among tropical fish at the amazing Xel-Há, the worlds largest outdoor aquarium. On the Mexican Riviera you’ll find everything to do or do nothing at all…the choice is yours. A departure from the crowded, noisy hotels of Cancún, Hotel Marina El Cid Spa & Beach Resort offers you the choices, luxury and cultural experiences that create memories that last a lifetime. Book with Teplis now and get the lowest rates of the season! 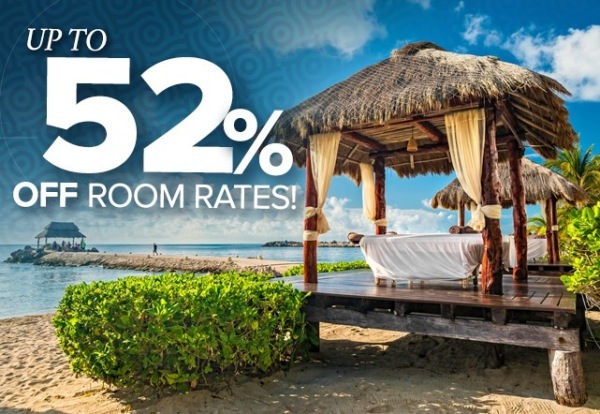 This incredible all-inclusive offer features up to 52% off room rates; $600 resort credit coupon booklet, all meals; all domestic and imported beverage brands including wine, beer, soft drinks, juices and purified water; waiter service at the pool and beach areas; 24-hour room service; mini bar in the room; use of tennis courts, racquets and balls; water sports: windsurf, hobby cats, boogie boards, stand-up paddle and kayaks; fitness center; daily pool and beach activities; biking tours; Kid’s Club and all gratuities and taxes. But hurry, this offer expires April 30, 2017. Note: Discounted room rates not valid on stays between July 7, 2017 and August 13, 2017. Call Susan in our Vacation Department at (678) 420-2510, Toll-Free: (800) 950-2950 or send her an email at vacations@teplis.com to plan your Mexican Riviera escape today!